Rarely does a barrel-aged pumpkin not choose a flavor to devote themselves to entirely. Some lean to favor the liquor of their particular barrel, whilst some prefer to amp up all their ingredients in order to combat the coming onslaught of whiskey or rum. This dark ruby hued ale gives off a tricky aroma of heavy cloves and heavier nutmeg, leaving this drink wary of a possible spice bomb attack. Mercifully, this ale has taken on calming characteristics of sweet oak from it’s barrel, balancing out what could’ve been a mouthful of bitter powder. Complete with adequate pumpkin, this ale is sweeter than the perfume it gives off, but earthy enough that it lends itself to be a tasty dessert Oktoberfest brew. 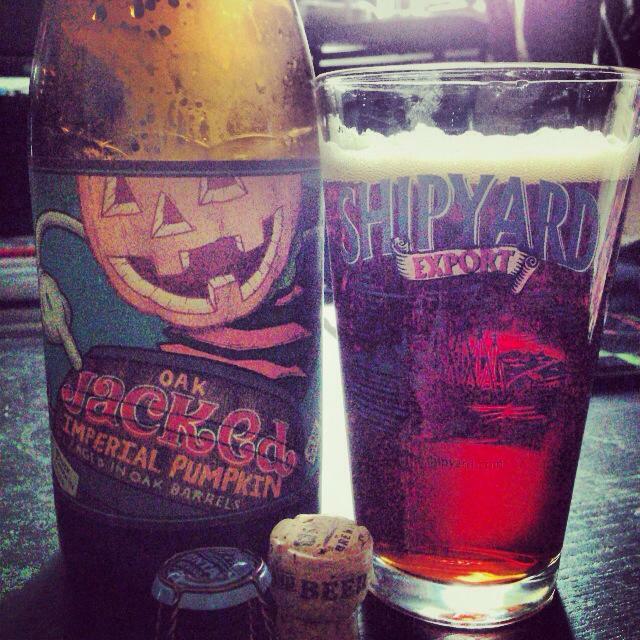 Smooth spicing, pumpkin meat, and oak all twist together into a dry finish.